Belinea 1930 S1 - flat panel display - TFT - 19 "- 1280 x 1024/75 Hz - 320 cd/m2 - 700:1 - 8 ms"
With the large HP L1908w 48.3 cm (19 inch) TFT screen you get all the essential features in a stylish design. Are you one of those users who, as you will not be disappointed regardless of the workplace who prefer widescreen viewing. With the large HP L1908w 48.3 cm (19 inch) TFT screen you get all the essential features in a stylish design. Are you one of those users who, as you will not be disappointed regardless of the workplace who prefer widescreen viewing. 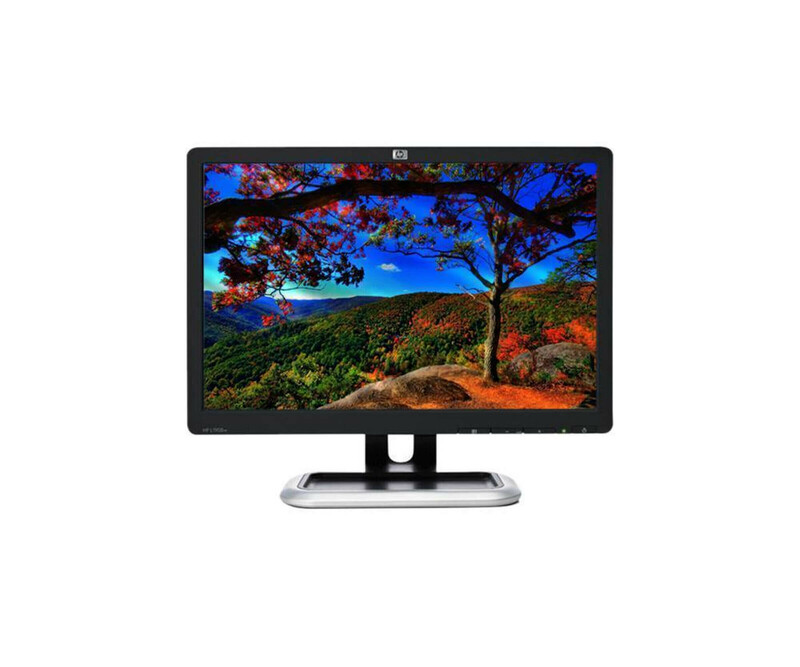 The used HP monitor has been fully checked and can be immediately connected and used. As resolution 1440 x 900 pixels are used, which is why you receive a correspondingly sharp and detailed picture of the HP L1908w 19-inch TFT. This is especially noticeable in photos and videos in high quality, therefore, the monitor can also be used for multimedia purposes. A response time of 5 ms is sufficient for games beyond. You need the HP L1908w TFT screen with active matrix, plug-and-play, easy to connect with your computer or laptop and can start using it immediately. For this, the VGA interface is used, which also in many notebooks is one of the standard COM ports. We send the monitor, including video and power cables so that you get everything that is required for operation. 37.0 cm (17.6 x 11.9 x 2:32 "
The manufacturer's residual warranty is the remaining warranty period. on the part of the manufacturer. This means that the device that you are purchasing still has a remaining warranty period which, in the event of a defect, can be directly can be claimed from the manufacturer. The legal warranty remains unaffected by this. Most of the devices are business devices, which originate from leasing contracts. These usually run for three years, which is approximately the age of the equipment. What are pixel errors or pixel error classes? In many cases, a pixel error is indicated by a constantly black or luminous Pixel. Especially in the field of view, these are naturally disturbing, which is why various error classes have established themselves for more precise identification. The higher the specified class, the more errors are allowed. If the manufacturer provides information on this, we will also include this in the description. What is the significance of the reaction time? The reaction time (also known as response time or switching time) indicates how long a pixel takes for needs a change of state. The shorter the time, the faster image changes are possible. If you are looking for a monitor for video games or similar applications, you should pay attention to the shortest possible response time. What are the EU energy labels for? Meanwhile these labels can be found under different names and are often only called EU labels. Basically it can be read from these which efficiency class the respective monitor belongs to. If, for example, it is a class A monitor, it consumes less power and works more efficiently than a class B monitor. What does the abbreviation VESA stand for? VESA (Video Electronics Standards Association) is an organization that uniform specifications of video standards. For monitors, the VESA standard applies if they can be attached to a separate bracket, e.g. for wall mounting to be carried out. Why are there different color spaces? Over time, different color spaces have evolved to support different applications. For example, many users are well advised to use the sRGB colour space (standard RGB), as this is sufficient for numerous applications. For professional image processing and similar software, however, the Adobe RGB color space is recommended, as it can display more colors. What does the calibration of monitors mean? Most users do not have to calibrate their own monitors. Especially with color critical applications, this is recommended and should also be removed from the monitor. be supported. This is the only way to set the correct color values, e.g. after a Print a photo no deviations to detect. For calibration, the following is used in the Rule Separate accessory that rests directly on the display and measures the displayed colors.